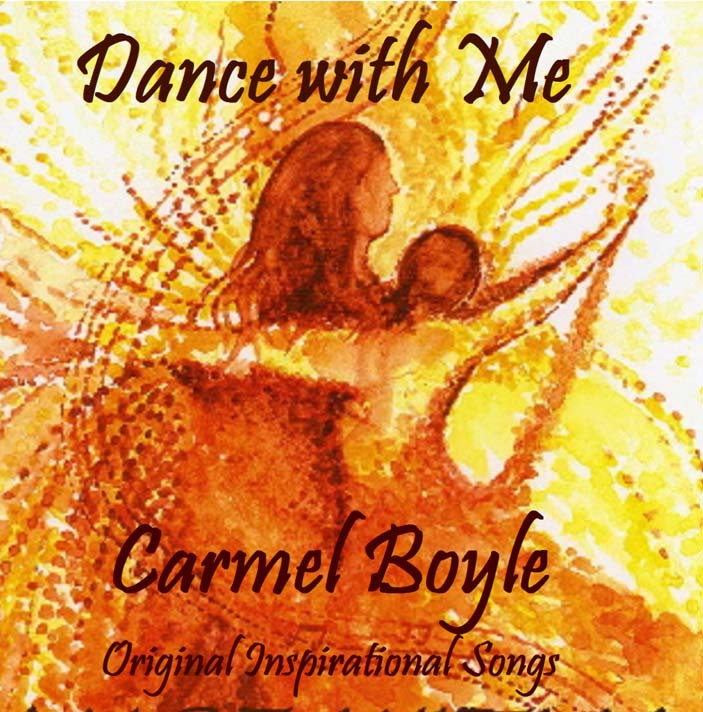 Recently I listened to Irish singer/songwriter Carmel Boyle’s wonderful new CD, Dance with Me, in the midst of a major work project. Piercingly beautiful, the music struck my heart and inspired my creativity. As I listened to the theme song, “Dance with Me,” about being drawn out of the shadows into the light, I found myself more grounded, more courageous in my creativity, and more productive. Rarely do I listen to music while working (or, as in this case, interspersed with working) and I felt moved to ask, “Does music improve creativity at work?” While I have loved music for as long as I can remember, I have separated listening to music from my work. My musings led me to further experimentation and to Dr. Anneli B. Haake’s website, Music at Work. Not only does music enhance concentration, it also contributes to relaxation at work, Dr. Haake found. Through channeling stress and negative emotions, through reminding listeners of time and space outside of work, and through creating space for reflection, music calmed workers. Employees reported how relaxation helped them provide better customer service and work more effectively on their teams. Of particular interest to me, Dr. Haake’s research established the value of listening to music not only for simple tasks, but also for complex tasks. While earlier studies had confirmed music’s ability to help workers more effectively perform routine tasks, Dr. Haake’s latest studies also demonstrated that music could enhance concentration and creativity in complex tasks. Self-selected music does indeed improve creativity at work. Dr. Haake adds a few caveats to her findings about the value of listening to music at work. Above all, music must be self-selected. When management pipes in music or a co-worker’s music blares, employees report irritation and distraction. Furthermore, listening to music at work is not for everyone, and even those who listen to music with some tasks prefer a quiet atmosphere at other times. Music at work must be self-directed. A new discovery for me (how could I be so far behind the times? ), music at work will now add another dimension to my work environment. I will return to Carmel Boyle’s Dance with Me as well as seek out other inspiring, creativity-enhancing music. I will experiment with when to listen and what to listen to. No longer does music need to be separated from my work. I have discovered a powerful new tool for groundedness, reflection, and courageous creativity.